Well, here is something that I have in common with the Chinese panda. (Besides the both of us being fluffy and adorable that is.) It turns out that we both love to eat bamboo! I recently happened upon this photo of Wang Wang the panda, contentedly chewing on his lovely sprig of bamboo and thought: Wow, I'm hungry! That's when I knew it was time to make this lovely dish for our dinner: Stir Fry Bamboo and Mushrooms (冬筍炒冬菇), also sometimes called Stir Fry Two Winters (炒二冬). (This is due to the Chinese character for winter (冬) which you can see shows up twice in the name!) A traditional Hangzhou vegetarian dish made of tender winter bamboo shoots and the delicious shitake mushroom. Easy peasy and yummy too! I bet Wang Wang the panda would like it as much as we do! You will need a can of winter bamboo shoots. Winter bamboo shoots are used because they are tender so check on the can. It will state if the bamboo is winter bamboo or not. Don't get the presliced shoots. Get the whole shoots canned in water and slice 'em yourself. For the mushroom you could use either dried or fresh shitake mushrooms. Usually the dried shitake mushroom is used as the dried mushroom has a more intense flavor to it. However, I discovered some very fresh organic local shitake mushrooms and decided to give them a try. Yummy, very tasty! I also decided to throw in some greens, even though the traditional version is just bamboo shoots and mushrooms. These lovely greens are the Chinese Leek Flower, or 韭菜花. I have always been fascinated by this vegetable because of the little flower buds that are a part of it. "We're eating flowers tonight!" I announced blithely to my little girl, immediately perking up her interest in the upcoming dinner. Some simple slicing and chopping and you're ready to stir fry. That's the thing I love most about stir fry is the efficient nature of it. You prepare. You take time to double check that you've prepared. But when the actual stir fry comes around you just do it. Fast moves, fierce heat, you're in the moment, you're following your instincts, there's nothing in the world but you and that stir fry. And then, just like that, you're done before you know it and dishing up the fragrant, bursting with wok hay, delicious Chinese food to your serving plate. Soak your dried mushrooms (if using) in hot water for at least half hour or until soft enough to slice. *Reserve the mushroom soaking water. Cut off the mushroom stems and discard. Slice the mushrooms to 1/4" slices. Rinse bamboo shoots. Slice the shoots to 1/4" slices lengthwise. Then further slice lengthwise in half. Rinse chinese leek flowers. Cut off the bottom 1/4 of the leeks and discard. Slice the leeks to 1" lengths. Heat wok over high heat. Add oil. Slide in the bamboo shoots and leek and stir fry continuously for 2 minutes. Add 1/2 cup of stock**, soy sauce, sugar, salt, pepper and mushrooms. Let shimmer covered for 3 minutes or until the leek is just cooked. Mix 2 tbsp water with potato starch, pour into wok and stir until the sauce thickens enough to cling lightly to food. Turn off heat, add sesame oil, stir and serve hot. **Tip: If you don't have mushroom stock, just use equivalent in water and adjust seasonings to taste. ***Don't just eat bamboo, use bamboo in the kitchen! 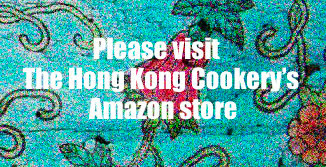 See our post about Hong Kong Handmade Bamboo Steamers.